La entrada incluye: entrada al festival durante toda la duración del mismo; camping general en el camping Opatovce o Biskupice (en el recinto del festival, debes traer tu propia tienda); instalaciones de primer nivel: aseos, duchas y agua de tanques de agua gratis y más; servicio de primeros auxilios; servicios de los socios del festival; acceso a internet gratuito; app del festival y mucho más. No incluye aparcamiento. Are you tired of carrying your own tent to the festival? 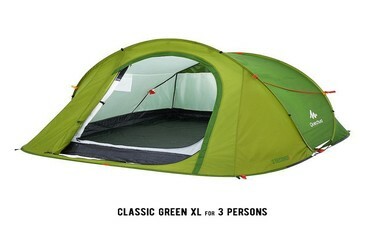 Tired of the hassle of finding the right spot, unpacking and building the tent? Fed up of cleaning and packing the tent afterwards? Tent Inn has got you covered! Tent Inn provides accommodation at festivals and events for over 10 years, bringing the comfort of refreshing rest without any hassle. All you need to do is to book your tent and get ready to party. Your tent is equipped with sleeping mats and blankets and the tent-service can even wake you up in time for the shows you don't want to miss. 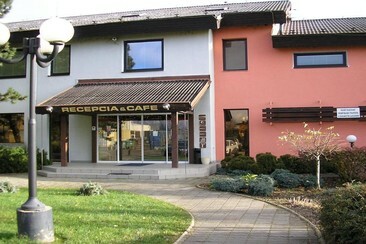 A three-star family run hotel is situated on the outskirts of Nová Dubnica surrounded by the Strážov Mountains and is in the heart of the commercial and cultural life of Stredné Považie. The property offers en-suite accommodation with a seating area and a private bathroom, guests also have access to the free fitness centre and sauna. A terrace and garden is available for the summer days for guests to enjoy a barbecue. The newly renovated restaurant serves traditional Slovak and international cuisine and a substantial breakfast buffet is provided and can be enjoyed at the café or at the terrace. Enjoy a hike and a bike ride in the surroundings while the Trencianske Teplice Spa Town is situated 8km away and the town of Trencin is reachable within 12 km. Aparcamiento en una pista designada junto al camping de tiendas de campaña, justo detrás de las puertas del recinto del festival.